Tags: Hiking, planning, safety, success, Team 2020. 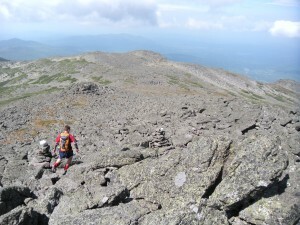 The Northern Presidential range is dominated by the daunting Mt. Adams, and it will be by far the most challenging peak in this year’s hiking season. At 5,774 feet, it is the second highest in the 48 after Washington, but in many ways presents a more formidable challenge. 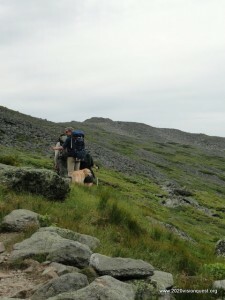 Adams’ 4,500 feet of elevation gain is the absolute most in all of the White Mountains. 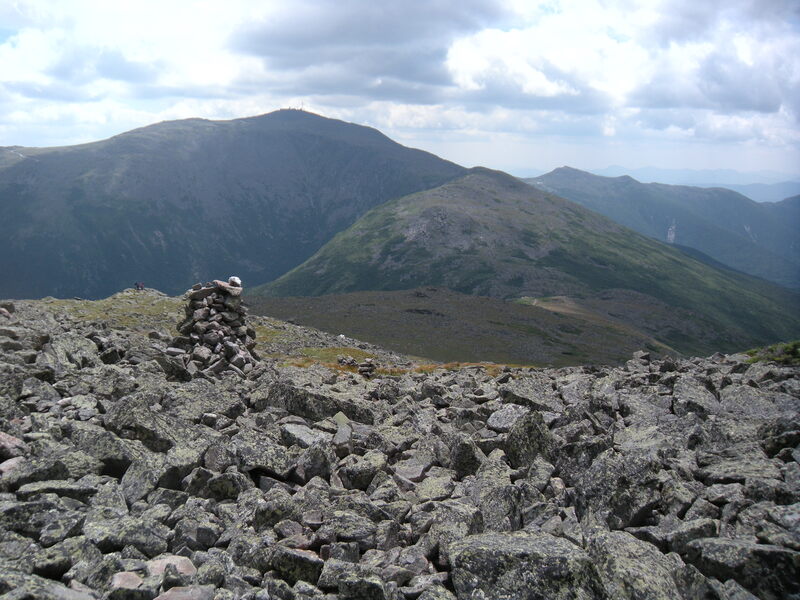 Its cracked, boulder-strewn cone is often considered to be the most challenging terrain. Thus, Adams represents perhaps the supreme challenge for me personally, and for all of our team, during the entire 2020 Vision Quest. Weather is frequently the most difficult factor for any hiker, and here again Mt. Adams stands tall. We’ll make our summit attempt through a convergence of paths known ominously as “Thunderstorm Junction.” It is said that there are more lightning strikes on Mt. Adams than any other point in New England. Though we could not verify this detail, we can confirm that Adams’ mystique has landed it on a list of the top 10 ‘Holy Mountains’ as maintained by the Aetherius Society, who are said to keep their symbols upon the summit. While we chose Thunderstorm Junction as the shortest section of the challenging summit cone, the very threat of lightning would drive us from our task. As fearsome as lightning can be as it rolls through your town, imagine the same experience on an exposed mountain ledge, with no means to escape or even hide. And given my necessarily deliberate pace, we must only attempt to approach this region if both the forecast and the view confirm we are at very low risk of fast-moving storms. We will undertake both Adams and its neighbor to the north, Mt. Madison (fifth highest in the 48), during a three-day climb based out of the AMC’s Madison Spring hut. The plan is to ascend the Valley Way trail from the northwest. This moderately steep trail will bring us to the hut nestled in a col between the two pyramidal peaks. If time is sufficient we hope to climb Madison that very day. While only a 1 mile round trip from the hut, the terrain is similar to what we’ll encounter on Adams, and we hope to gain from the experience. 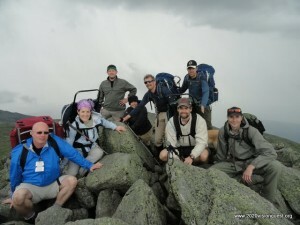 If weather or timing do not allow that practice run, we plan to achieve the summit of Mt. Adams the next day, July 3. Many backup plans are ready based on the conditions on the mountain, and we hope to find the window of opportunity to travel the 2.4 miles of challenging terrain and achieve Mt. 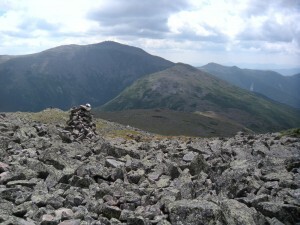 Adams’ notorious summit. We anticipate an exhausting day which allows us back to the hut to rest one final night before making our July 4 return down the Valley Way. Many hikers have managed these summits, but every experienced hiker who knows us well has said this will be an enormous challenge. We could do everything right and yet be forced to forego the attempt of a summit should the weather not hold sufficient clear skies. 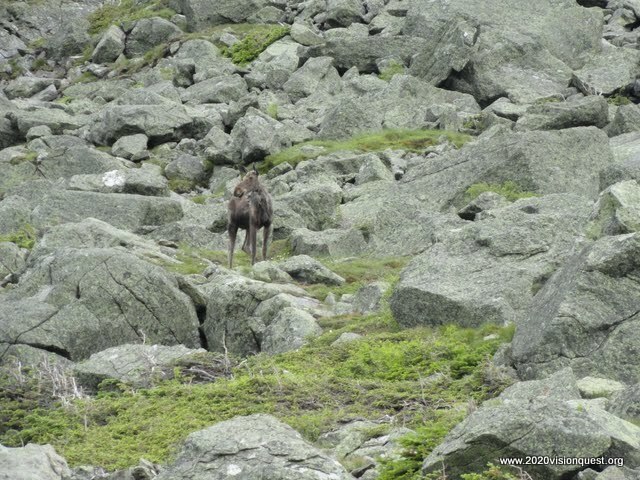 Even wet rock will greatly magnify our challenge – but of course we are more mindful of the larger dangers of being trapped in hypothermic conditions – — yes even in early July! – — while lightning rages around us. As you know, we are not doing this because it’s easy. 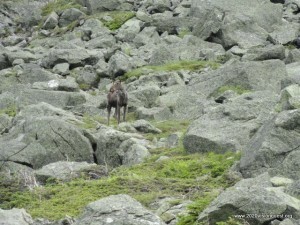 But never before have we looked forward to a hike with such vivid awareness of the dangers we may encounter. So we’ve prepared more than any peak previously, we have three days of potential to consider a summit and we are prepared to accept any weather reality. After all, all we can ever do is give our best efforts, plan well and make the most of the realities which can challenge or limit our choices. Win or lose, I expect an experience to remember. And I have little doubt that our 8 person team will come out of the endeavor charged by the experience we intend to share!